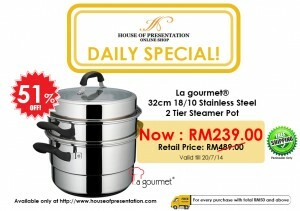 WHY BUY THE LA GOURMET® STEAMER POT? For a quick, no-hassle way to prepare nutritious and great-tasting food, look no further than the La gourmet® Steamer Pot. This traditional Asian cooking technique is good for both your palate and your health – that’s because it preserves nutrients that are destroyed by methods like boiling, pressure-cooking and microwaving. 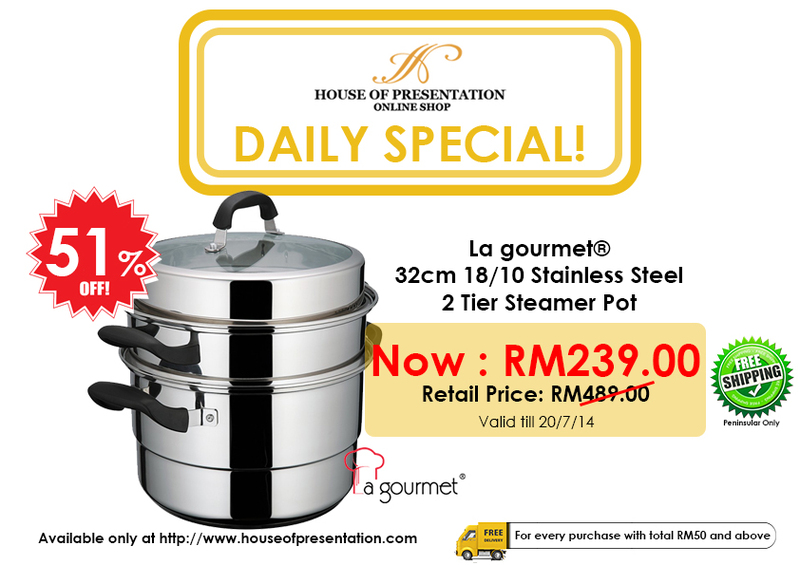 Constructed of premium-grade 18/10 stainless steel for its durability, the pot is both hygienic and safe for food steaming and cooking. 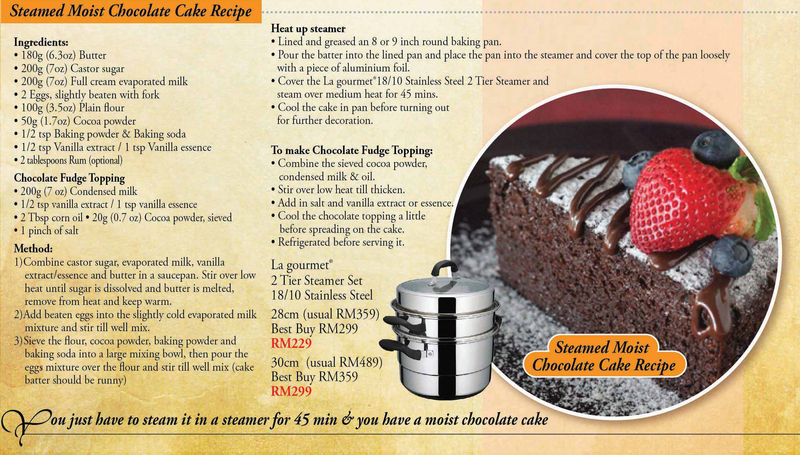 What makes the La gourmet® Steamer Pot so simple to use? Two removable colanders easily keeps seafood, pasta, or vegetables out of the water while allowing them to steam. Once the food is done steaming, a user-friendly handle on the sides of the pot or within the lid allow you to easily lift out the steamer and all the food. And with its two layers you can both boil in the pot and steam two dishes at the same time. You can even use it for boiling water and making soup if both the colanders are removed. If you love seafood or want an easier way to make pasta or steam vegetables, this pot made for steaming will simplify your life. – Fully clad premium-grade 18/10 stainless steel interior and exterior body. – Tempered glass lid with 18/10 stainless steel rim lets you check your foods cooking progress without opening the lid. – Hygienic and safe for food steaming and cooking. – Quick, no hassle way to prepare nutritious and great-tasting food. – Great for soups, stews, pasta, seafood, vegetables and more with its large capacity. – Sleek stylish curved design. – Stain resistant and easy to use and clean. – Can be used on both gas stoves or induction heaters. This La gourmet® product is warranted free from defective materials and workmanship for 10 years. Does not cover damage due to mishandling, normal wear and tear.